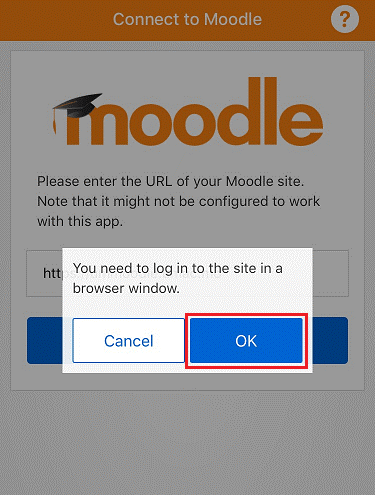 For detailed information, please refer to Moodle Mobile features from Moodle official site. 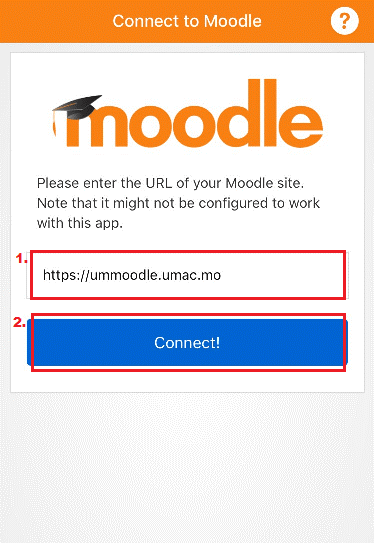 How to use Moodle Mobile? It is easy to connect UMMoodle through mobile app by following a few steps as mentioned below. 1. 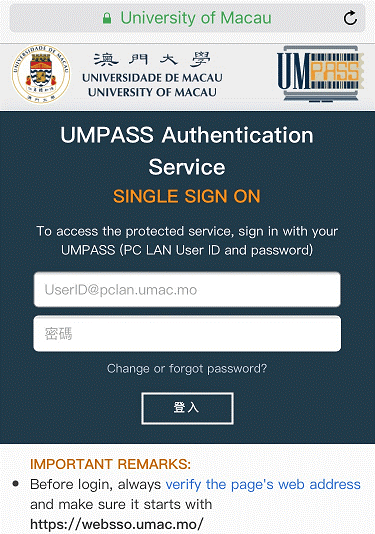 Download Moodle mobile app from Apple’s App store or Google Play. Or download the Android Package Kit (APK) (requires Android 4.0 or above) from link. Remark: To download the APK file, please scroll down the page and click “Download apk” button. 2. Open the app, and input the URL of UMMoodle: https://ummoodle.umac.mo, click the “Connect!” button. 3. Click the “OK” button. The App will open your web browser and redirect you to a login page. 4. Input your UMPASS username and password. Once login successfully, the App will restart with logged-in status. In order to let our users be more familiar with Moodle Mobile app, ICTO arranged workshops for staff and students which were guided by tutors with hand-on practice. For detailed information, please refer to our E-Bulletin (for staff) and E-Bulletin (for students).